bali - rice cakes, originally uploaded by adlaw. Balinese traditional rice cake called "Klepon" A mild sweet juice probably made from caramelizing sugar in coconut water oozes out from this rice cake. 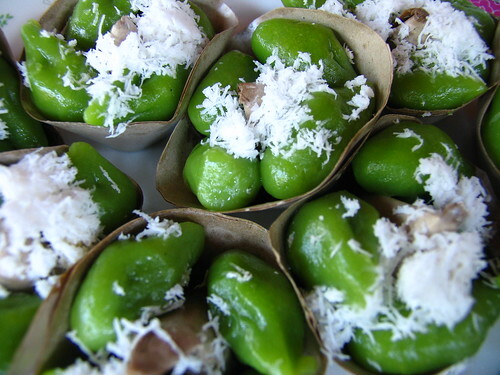 This is one snack you should try to have a bite of while in Bali.